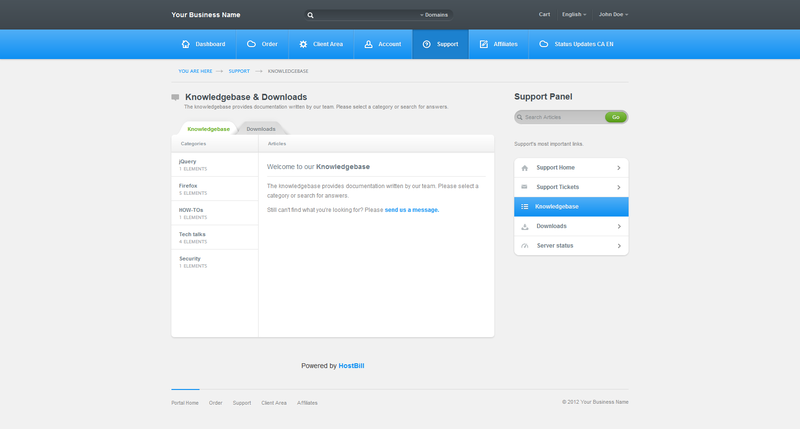 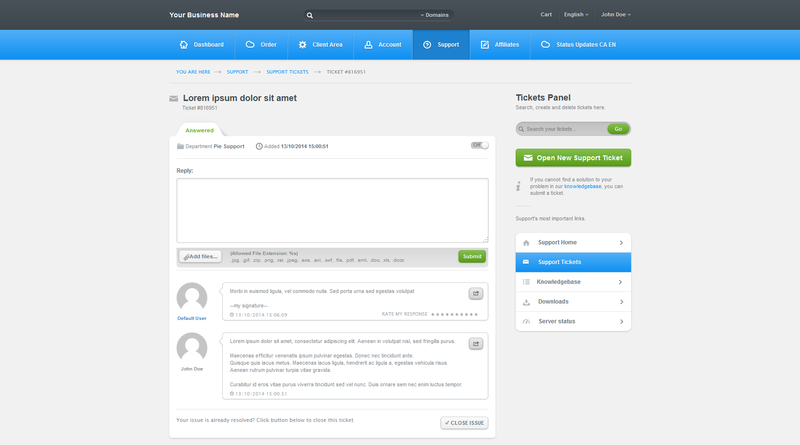 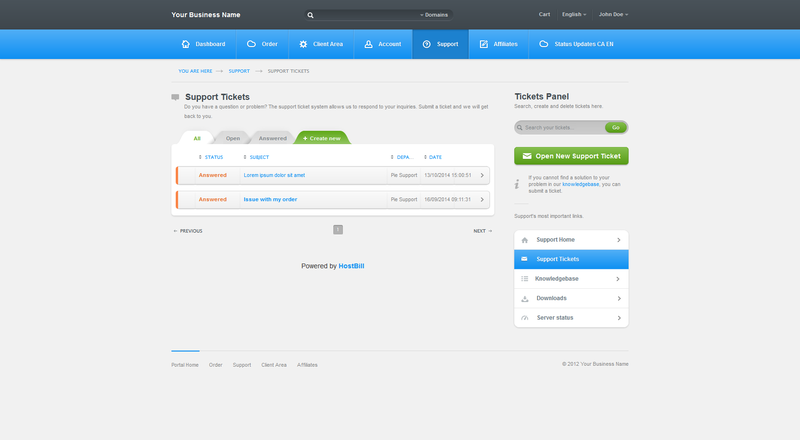 Built from scratch, the Modern Panel theme was designed to work well with all sorts of online businesses. 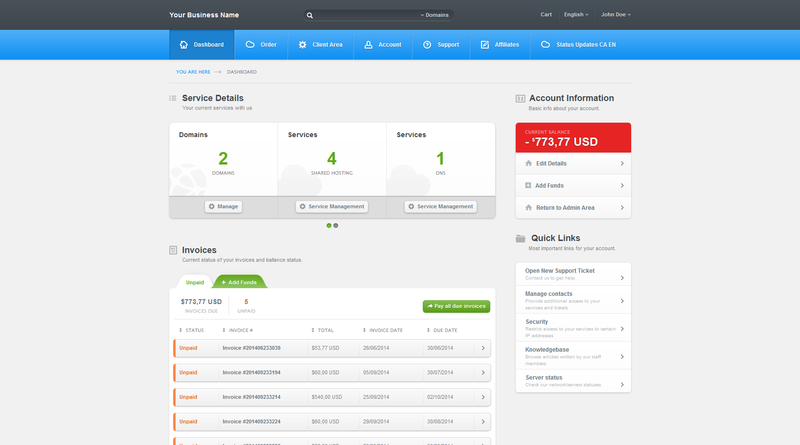 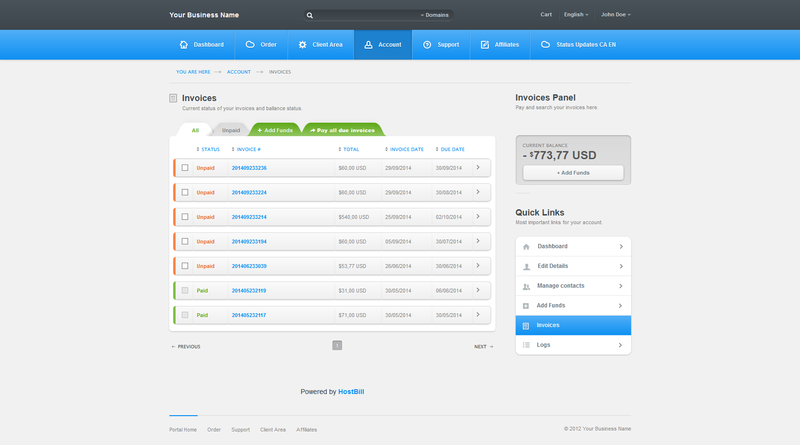 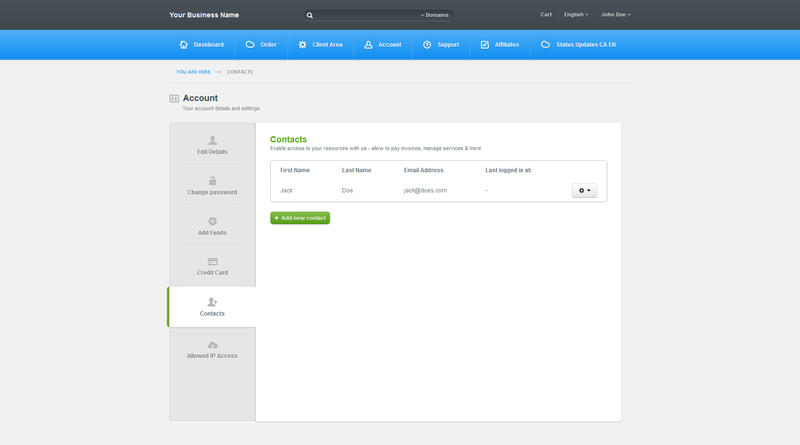 Your clients will have access to all sections of their account management right from user-friendly main menu. 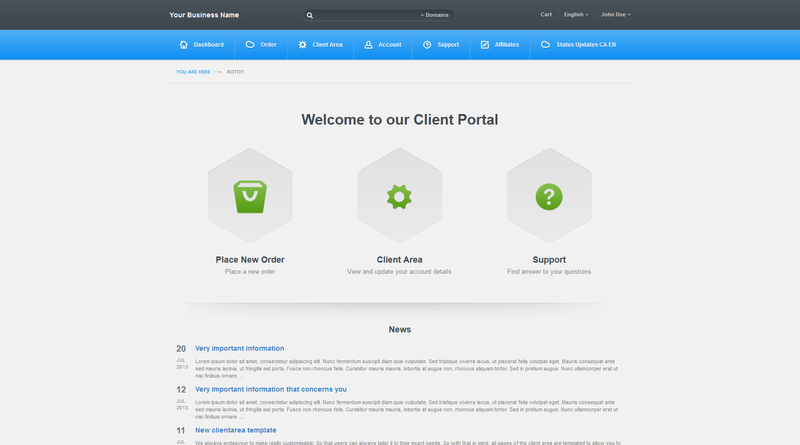 The clean and professional design will look good on different size screens, ensuring your customers will have comfortable experience with your client area.